The idea behind a FedEx Day is to give people autonomy in their field of expertise. If you love someone, let them free; if you love your developers, let them do whatever they want. Research repeatedly shows that this not only gives amazing short term results for the business, but the people involved are much happier in their profession. After 24 hours of very little rest, a few setbacks and a lot of brainwaves, all FedEx Day participants got together to review all the projects and vote for the projects which would make the most difference to iiNet’s teams and to our customers. While our design team took the FedEx Day trophy for their internal organisational chart system that will help finding the right person at iiNet a breeze, we were truly blown away by the creative and clever ideas the 27 teams came up with. There were a number of projects that looked at our customer facing systems and how we could build on existing iiNet processes. These projects ranged from changing the way we present customers with invoice data and speed improvements to a number of our systems including our self-service Toolbox and our internal billing and batch systems. Other developers focused on automating and configuring new machines and software as it’s added to the growing iiNet network to save time for our developer and systems teams. A number of teams looked at how iiNet could use social media and sharing to build on our existing systems, such as one project which created portable iiNet Freezone playlists that can be accessed from any internet enabled device. Another popular project explored how iiNet could enable customers to log in to the self-service Toolbox platform from Facebook for easy access and management. Gamification is a big trend so it’s no surprise that we had one game suggestion. One development team use a software package called Bamboo to automate our testing and build cycle. A developer built a plugin that turns testing into a game, awarding points for writing new tests and striking points down for causing tests to fail! Who doesn’t love a challenge, eh? In total, we had 51 people participate on 27 projects, some completely finished, such as the hit Kittycam project which is now a long term web cam installation in Cat Haven, some ready to roll out in coming months and others still at proof of concept stage or a creative suggestion we can build on for future activity. We’re very proud of the work we put in for FedEx Day but from here, each team is responsible for driving their unfinished ideas forward to make them a reality. The vibe in the office over the 24 hours was nothing short of amazing: people were excited about taking on projects outside of their usual scope and working with new people. 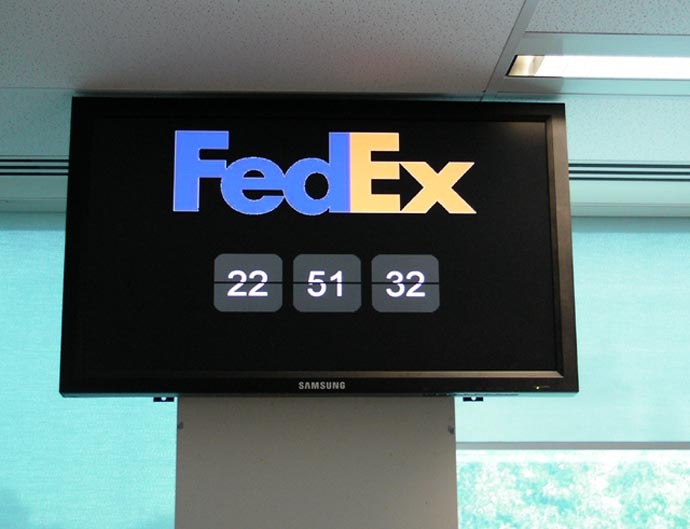 Far from being a crazy idea to let a bunch of engineers run wild with very little sleep and a looming deadline, FedEx Day ignited our passion and excitement for what we do. This was our first ever iiNet FedEx Day, but it certainly won’t be our last. Mark manages one of our software development teams. He likes to see people & systems perform and enjoys brewing (and drinking) craft beer. Yet again congratulations iiNet on showing everyone that you actually understand and care about your employees. Only somebody that actually gets programmer/designer types know that these creative ‘crunch’ sessions can actually be really fun. Nice to know that iiNet isn’t a dry tasteless company that doesn’t care about its employees. Definitely sounds fun. FedEx – extremely poor choice of wording – FedEx has proven to be one of the worst viruses to hit our computers.